Being Self Employed while seeking to borrow through the Fannie Mae lending system is an incredibly complicated process! This article will help you understand and navigated the guidelines surrounding being self employed and applying for Fannie Mae as well as recent changes that are important. What if You are employed while also running your own business. Because of recent changes to Fannie Mae self employment guidelines in regards to income. In this article, we’ll discuss in detail what’s changed, explain why these changes specifically benefit self employed homeowners, and help you through the process of securing a Fannie Mae self employed loan for yourself. Fannie Mae Self Employed Guidelines: What’s Changed? “Fannie Mae” is the colloquial name for the Federal National Mortgage Association, a publicly traded company sponsored by the US government. For years, their borrowing process has been quite tedious, especially for Fannie Mae self employed borrowers, largely due to the burdensome documentation requirements and the Fannie Mae verification of employment guidelines. For example, on top of the usual requests for credit reports and bank statements, self-employmed borrowers have conventionally been asked to show their federal income tax returns and other related documentation to determine the stability of their business. 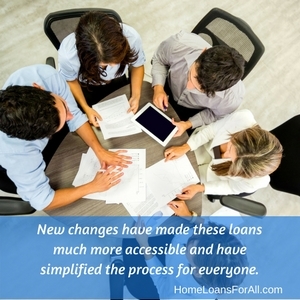 But new changes have made these loans much more accessible and have simplified the process for everyone, especially for the self-employed as well as the salaried persons with secondary sources of income from non-salaried business. One of the biggest changes is that only one year of federal income tax is required instead of two, though this only applies to certain cases. Besides this, the body has unveiled a new income calculation that caters to business owners with little-to-no history of distributions. Fannie Mae Self-employed borrowers whose business distributions are irregular or non-existent will now only be required to have access to their business income, which can be shown easily by producing a letter of incorporation or the K-1 filing. Additionally, your business should show adequate liquidity that can support income withdrawals. Self-employed borrowers whose businesses do not have the previously required two years of federal tax returns are now required only to show one year of federal tax returns. However, your business’s cash flow needs to appear realistic and credible, and should cover at least 12 months. 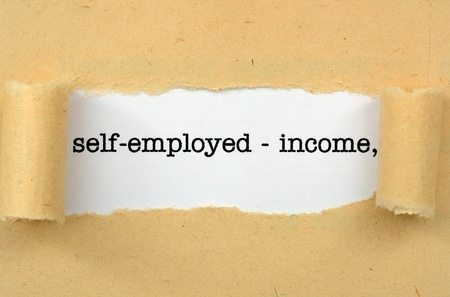 Borrowers with a self-employment income from a second, non-salaried business will no longer be required to show proof of income from their self-employment sources if the income from “salaried” job qualifies them for a mortgage. This will particularly be welcomed well if you’re a borrowers living off pension payments, retirement income, social security income as well as dividends. However, you will have to produce your federal income or corporate tax returns as it relates to your non-salaried source of income apply if your application for a mortgage indicates adequate household income less that which comes from your self-employment. It is worth noting that these new rules only apply to conventional home loans, and thus guidelines for other mortgage products such as FHA loans and VA loans may differ. Thanks to these changes to the Fannie Mae self employed guidelines, combined with the current mortage rates under 4% (at time of writing) there’s never been a better time to shop for a mortgage. Here’s a quick guide to getting approved for a mortage if you’re self employed and you’re looking to buy or refinance your home. Firstly, you should apply for your loan in-person, by telephone or online. Applying for a loan usually includes showing proof of your annual income, savings, debts, your locality, and your employment history. The last section laid out some of the more specific Fannie Mae self employment guidelines, and your lender will tell you exactly what you need to send them. Once you’ve applied, your application will be forwarded to a bank employee known as an underwriter. The underwriter reviews your information to determine its authenticity. This includes making requests for supporting documentation and clarifications where needed. 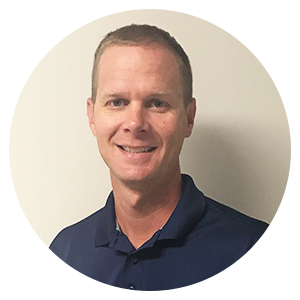 Your underwriter is at liberty to seek as much information from you as he deems right since it’s his job to make sure your loan application is feasible based on the minimum qualification standards set by the respective bank. For example, you may be required to explain and even show proof of the source of an unusual large deposit made recently, perhaps within the last 60 days. 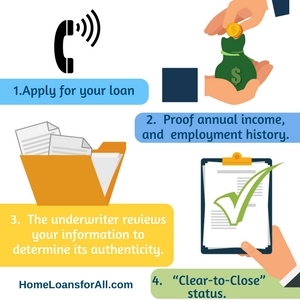 If your loan meets the bank’s qualification guidelines, including the Fannie mae verification of employment guidelines, the underwriter will assign your loan a “Clear-to-Close” status. Then you’re all ready to start financing your house! Something worth noting is that the underwriting process doesn’t follow any specified pattern and will vary for different types of loans, lenders, and applicants. This means all Fannie Mae self employed borrowers will be required to present specific documentation depending on what the underwriter considers right. So, What Has Changed With the New Rules? This borrowing process has for a long time been quite tedious especially for the self-employed borrowers due to the burdensome documentation requirements. For example, on top of the usual requests for credit reports and bank statements, self-employment borrowers have conventionally been asked to show their federal income tax returns and other related documentation to determine the stability of their business. However, with the new mortgage guidelines now in place, the amount of documentation is set to reduce. This move is expected to waive a fair share of the required paperwork especially for the self-employed as well as the salaried persons with secondary sources of income from non-salaried business. In this case, you (borrower) will only be required to have access to your business income which you can easily prove by producing a letter of incorporation or the K-1 filing. Additionally, your business should show adequate liquidity that can support income withdrawals. Self-employed borrowers whose businesses do not have the previously required two years of federal tax returns. The new rules offer looser guidelines for this category where all that is required is a proof of one year of federal tax returns. However, your business’s cash flow needs to appear realistic and credible and covering 12 months and over. Income from your self-employment job/business is now not required as proof to qualify for a mortgage. This will particularly be welcomed well if you’re a borrowers living off pension payments, retirement income, social security income as well as dividends. This means you no longer have to produce your federal income or corporate tax returns as it relates to your non-salaried source of income. This will, however, apply if your application for a mortgage indicates adequate household income less that which comes from your self-employment. And that’s it! 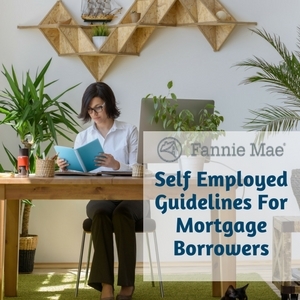 Our comprehensive guide to the new Fannie Mae guidelines which are set to make the self-employed mortgage more of a reality. So, what does this mean to you? Well, it’s your perfect opportunity to consider taking that mortgage you’ve only dreamed about before. The hitherto stringent mortgage rules are gone. It’s your time to celebrate the newly found opening and own a home.